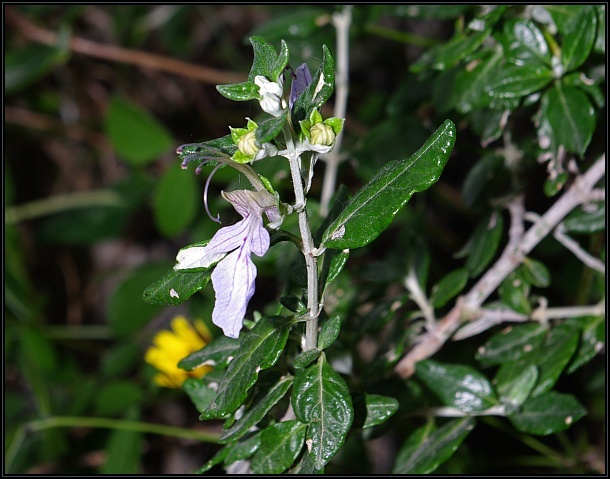 The Evergreen Germander (Teucrium fruticans) is a perennial dense shrub common in valleys and maquis. The flowers are pale blue with dark blue lines. The stamens are elongated whilst the pistil is curved and with a split stigma.